When the document or object is ready to be scanned, set your camera phone on the top of the box with the camera pointing through the designated hole. Once you take the picture, you have a few options. Using a mobile printing application such as AirPrint, you can send the image to a printer, thus making your phone a photocopier of sorts. You can also download a scanning application (Camscanner+ is recommended by the creators of Scanbox), which will give you the opportunity to save the image to a PDF or email it. 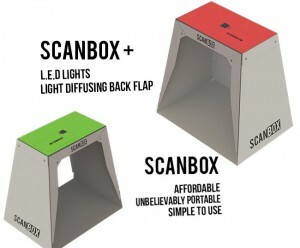 Also available is the Scanbox Plus, which is virtually the same thing as the regular Scanbox but has an additional flap on the backside of the box that diffuses light. The Plus also features LED lights so you can scan at any time, even in low light or in the dark. 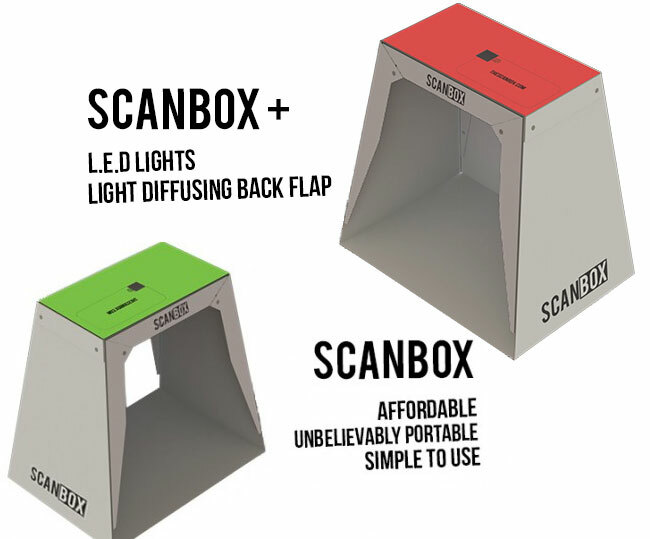 On course to change the face of mobile scanning, the Scanbox is simple to set up and nearly weightless to carry. It provides an environment to take pictures of a document or object without the concern of awkward lighting that could make the scans unclear, and utilizes the smartphone that many people already carry with them anyway.